Have you ever experienced a financial hardship or loss? Have you ever had someone take money from you? You aren’t the only one. The problem is, we often think we are. We see ourselves as the only person who has experienced hardship. We use it as an excuse to avoid joy – to avoid seeing everything in our life we still can be grateful for. What if we stopped focusing on the losses, and started focusing on everything we still have? Michael and Nicky Roche ran a property management business before they lost everything. At Date with Destiny, Tony helped them discover that even without money, they had so much fulfillment in their lives. Our problems are not unique and no amount of money is worth our happiness. This was something Michael and Nicky had to learn. Despite having lost so much, Michael and Nicky left Date with Destiny with more excitement, more joy and more appreciation for their lives than they had in years. READY TO BRIGHTEN UP YOUR LIFE? Imagine what life would be like if every day you knew, with absolute certainty, that you were living your happiest and most fulfilled in life. Join Tony Robbins at his most-exclusive and life-changing live event, and you won’t have to imagine any longer. 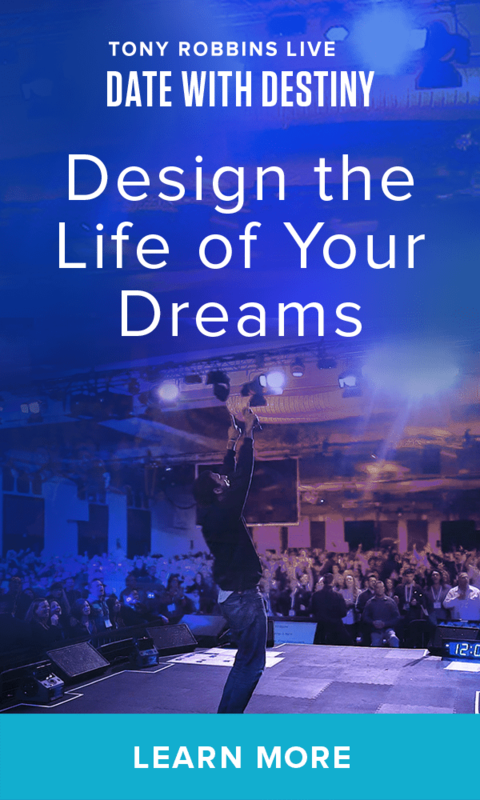 Embark on a journey – 6 days LIVE with Tony Robbins – in a supportive environment of total immersion! At Date With Destiny you won’t simply discover who you are, you will decide and create your own life-changing experience. Gain the right tools and mindset to see how problems can become gifts. Discover the ways your life is happening for you – not to you. Realign with what’s most important and spark confidence to follow your dreams and design your life! Don’t wait another minute to change your life, your new destiny awaits!